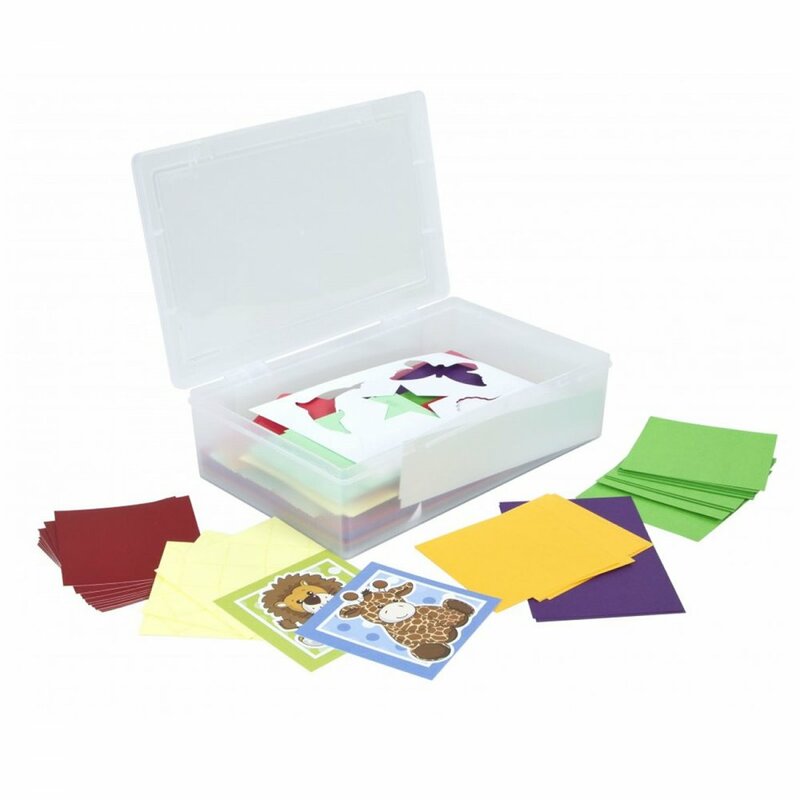 The kids bumper craft box is packed full of card and paper goodies. The card and paper comes in a variety of sizes and colours which are perfect to inspire your little crafters to use their imagination and get creative. The card and paper fits perfectly in the box supplied so it is easy to tidy up and store away for another day.